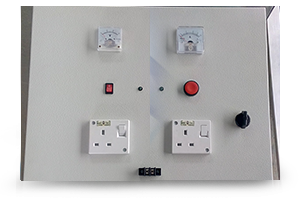 - MSI Automation is an automation and engineering company , were build by a Team of more than 10 years experience in this Industry by providing you an engineering solution with a on time delivery and quality service. We are also an authorised distributor for SIEMENS contactor for all range. - MSI speciallise all type of plastic and metal fabrication from light to medium type of fabrication such as EBOPS box and electrical system, Elevator Wide and Narrow Jamb Entrance, Switchboard, plastic moulding and machining. - MSI has set up Sales Management and Technical Support offices across the globe including, Mainland China, Indonesia, Korea ,Japan And Singapore. - Our team of dedicated procurement specialists have developed the product portfolio adding new key competence areas. - Quality & quantity check before shipment out from our China office or manufacturers.